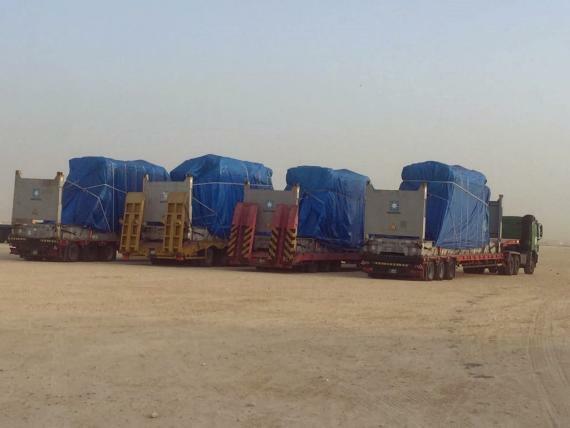 JSL Global have recently embarked on a project consisting of the delivery & installation of four transformers (40 MVA) to a Qatar Water Electricity project site. 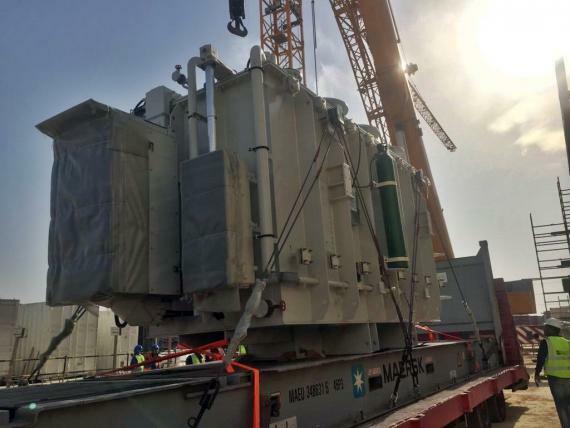 Each transformer weighed in at 42 MT with dimensions of 6.6 x 2.5 x 3.5 m.
The transporters were moved from Hamad Port in Qatar to the project site on a multi-axle, low bed trailer. 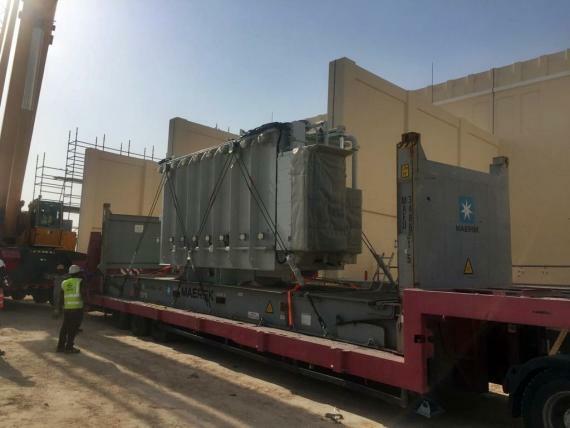 "The transformers were loaded on a Maersk line Flat Rack and as per client request, we could not offload/de-stuff the cargo inside port as to avoid double handling of transformers. 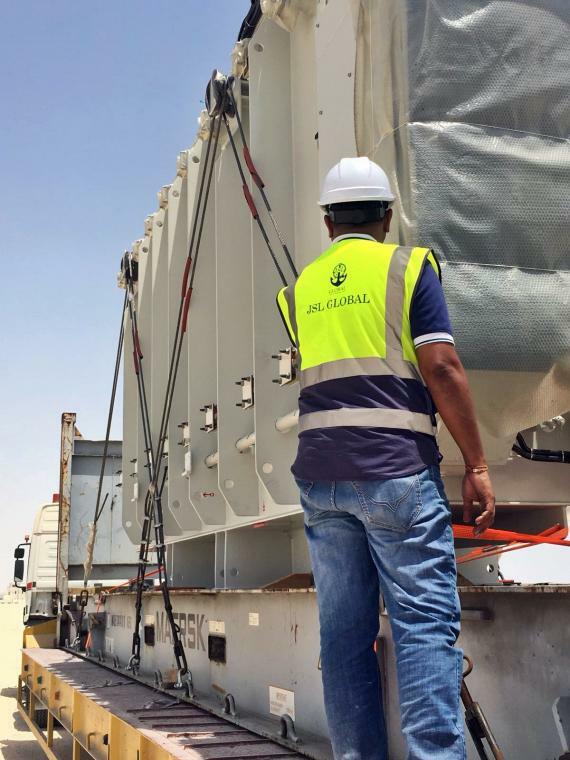 Due to the height of the Flat Rack & transformer we loaded them on a special trailer which can transport a flat rack with heavy cargo safely." 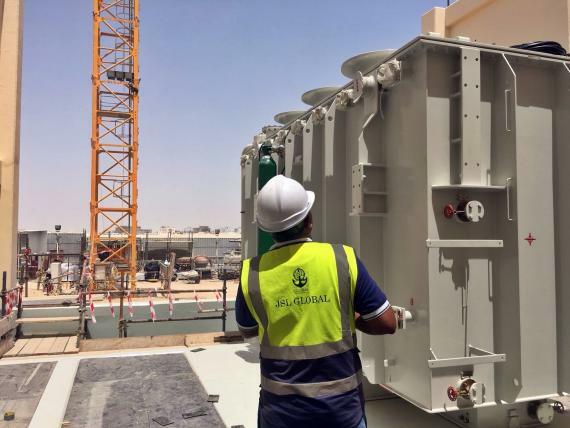 JSL Global were involved in several requests of approval from their government to install these transformers directly from the trailer to foundation on project site using a 250 t crane. 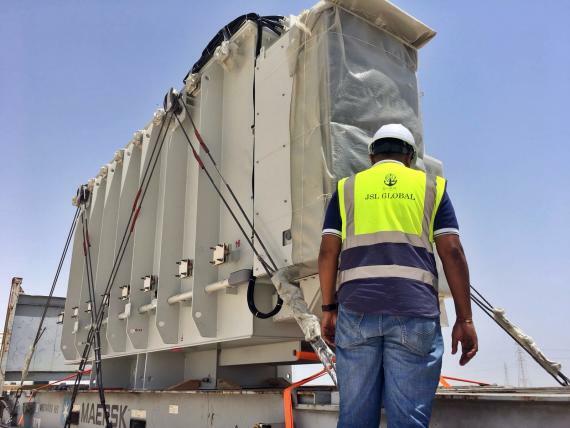 All operations were completed safely & successfully thanks to the hard work of all parties involved.